Last year I mentioned that Princess Nagger and I got hooked on a new game, Skylanders: Spyro Adventures. Well this year, just in time for the holidays, they’ve come out with a sequel, Skylanders: Giants. The new figures are huge comparatively speaking, and bring a whole new level to the game. Princess Nagger was concerned that they’d take up the whole space on top of the portal and not leave room for a second player – but surprisingly enough, they fit. Skylanders Giants are available now, just in time for the Holiday rush – what’s cool is you can check them out first-hand at a local Best Buy where they have a demo section set up for you to try them out and see what all the hype is about. I opted to get the starter pack instead of the one that just comes with the game and one giant – because it only comes with just the game and one giant, whereas the starter pack comes with two additional figures and a portal. Sure, we already have a portal, but it was worth the extra $15 to have a back-up portal plus two additional figures. It’s all in the math. 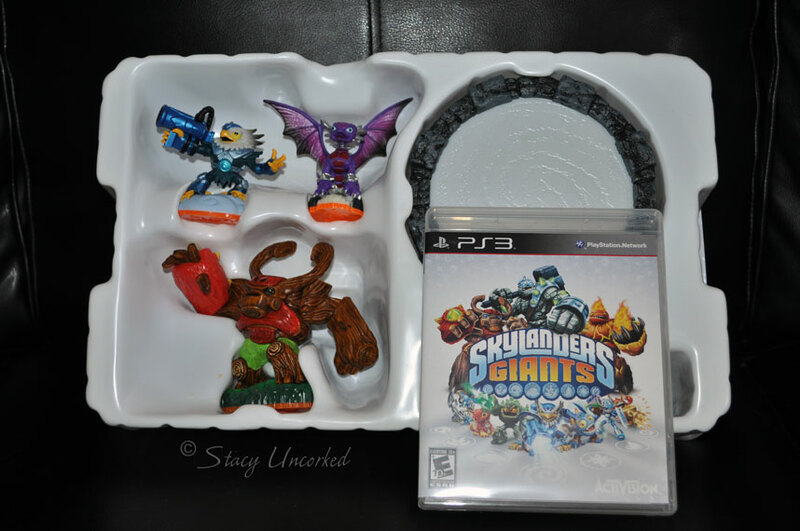 Checking out this new version, you can tell that Activision took a lot of care to create another entertaining Skylanders game. They’ve enhanced the features and created enough additions to the Skylanders Giants to definitely make it worth its while. 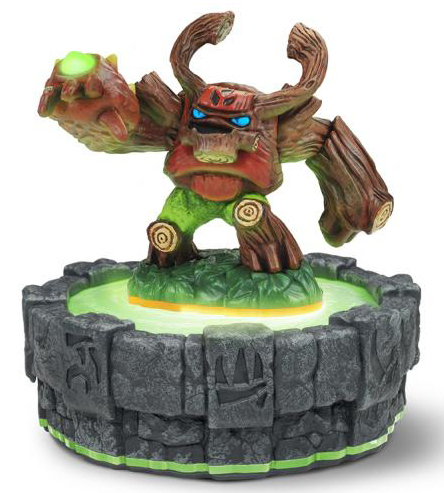 Those that are already Skylanders fans like us will be happy with the additions, too – it’s not just a rehash of the original, there are new figures with different abilities, and the original figures are able to increase their stats, too. 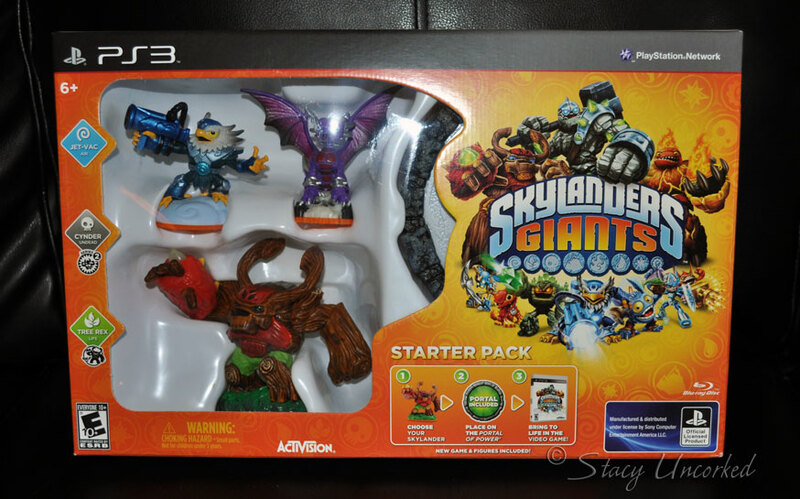 If you’re still on the fence (or never got into the Skylanders craze to begin with) you can check them out at Best Buy to see what the hype is all about first-hand. The thing I love about this game (besides the obvious Cool Factor) is that it’s a team-player game – sure, you can play solo, but it’s so much more fun when you play as a team getting through each level. Skylanders: Giants will have plenty of new characters to collect – there will be eight Giant figurines (which are bigger than normal characters and can use in-game objects that are too large for smaller characters), eight Light Core characters (whose figurines contain glowing parts), and 24 Series 2 figures (which feature new poses and upgrades). Additionally, there will be eight brand new characters, so you better start saving up your money. Last year the figures were hard to find closer to the holidays – so if you’re psycho obsessed like Princess Nagger and I are, you might want to shop early. Or do what I did last year and wait until the hubbub dies down and then get them. Either way, they’re definitely worth it. Do you play video games with or without your kids? What is your favorite game to play – video or not? Note: I am being compensated for this post, but all opinions are mine (and Princess Nagger’s) and not influenced by outside sources. See my Disclosure Policy here. 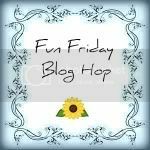 This entry was posted in Aloha Friday, Friday Follow, Friday Hops, Review and tagged Activision, Aloha Friday, best buy, Friday Follow, Friday Hops, holidays, new game, Review, sequel, Skylanders, skylanders craze, Skylanders Giants by Stacy (the Random Cool Chick). Bookmark the permalink. I like to play the Wii with my brothers, but my girls are still too young for screen time. In a year or two, we’ll get them involved with some of the games that are also activities. Those are the best kind of games – the ones with activities to get them moving. 🙂 Those are my favorite to play with the kids, too! My kids and husband love this game. We haven’t played the giants yet. We are waiting for x-mas. I don’t play as many video games with my kids as my husband does. I don’t really play video games. We do have Wii Jeopardy that we like to play as a family. My youngest son is crazy about Skylanders. We actually had the chance to visit Activision Headquarters earlier this fall to check out the new Giants before it was released. I went as a rep from 5 Minutes for Mom to do a review. My son was thrilled! We got to meet the team behind the creation of the game and play Giants on all the different platforms. I think it’s gonna be a very hot toy for Christmas this year. 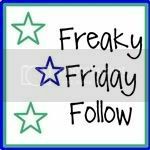 New follower from Friday Chaos! 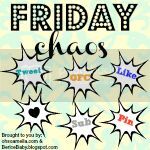 Hope you will swing by and visit us at More Than Mommies – we recently started a blog hop on Fridays, as well! We would love to have you join our More Than Mommies Mixer! We just got into playing the Wii with my son. We don’t play it very often, but it is nice to have something to do together (we love the dance parties!!). My son has been asking for this game all year…I am SO glad I read this! Thanks for writing! I miss my video game nut (who has since grown up and moved away), and my little one is too little still…but this would be a good gift idea for the holidays! The Wii, the DS, our iPod touches – all we do is game EVERY DAY. Rock Band, Mario Kart, the Wii Fit (my baby) we are absolutely a gaming family and are TOTALLY devoted to Best Buy for all our electronic needs so I’ll be sure to see that there, thanks! I’VE MISSED YOU! You are the Technological Queen! 🙂 I’ve missed you too!!! I love that you and your daughter have this that you both love to share with each other!! I play card games and board games with my kids, but not video games. Oh. My. Gosh. I think of you every single time I see these in the stores remembering your quest from last year! Then I wonder if I should be buying armfuls to sell on eBay December 14th! I love games of any kind-board or electronic! I used to play video games a lot more. You would have laughed tonight at my two boys trying to show me how to use Angry Birds because I never bothered to try it. Oh it was priceless. I liked playing Wii bowling with my hubby. I got rooked into playing with my son when he was younger. Wii bowling is about the closest thing to playing video games that I have enjoyed. Bringing back Aloha Friday! Come link up. 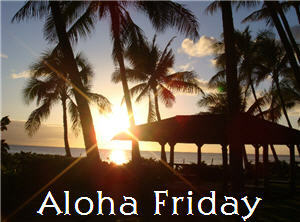 I know this is an old post but it’s the last one I had on my blog for Aloha Friday.